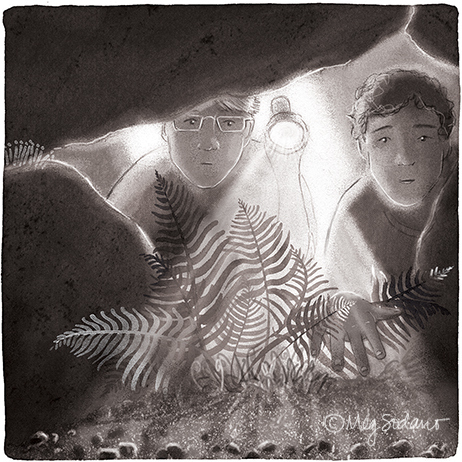 Cover illustration and design, and 14 interior illustrations for a chapter book (ages 8-10). 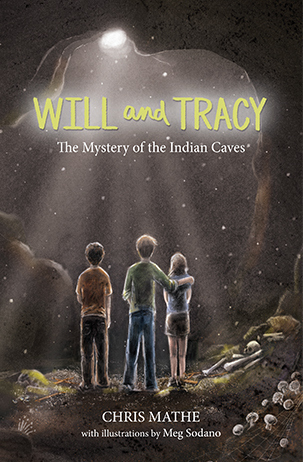 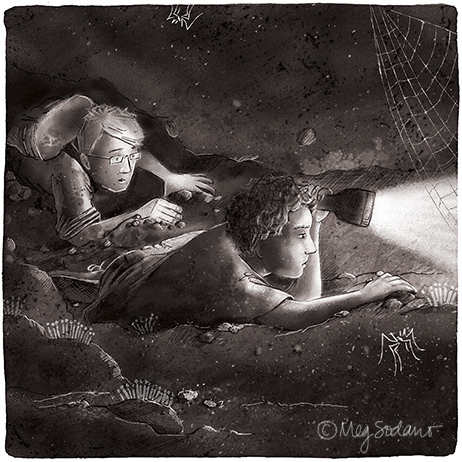 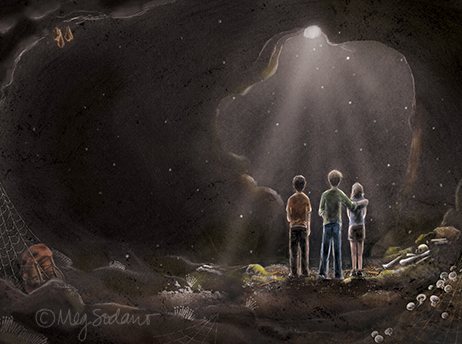 Will and Tracy and the Mystery of the Indian Caves, written by Chris Mathe, published by Mountain Ninja Publishing, 2016. 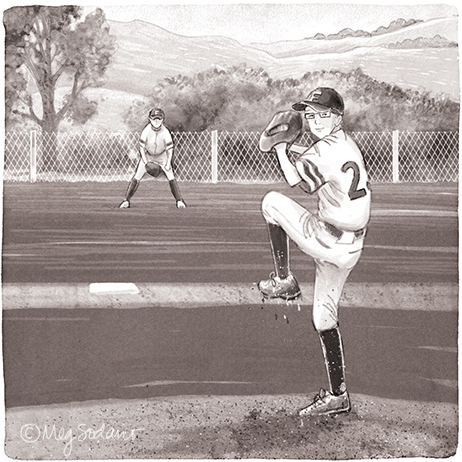 Artwork was created digitally, incorporating hand-made textures of charcoal, colored pencil, and graphite on paper.